How are we at the beginning of 2018 already! 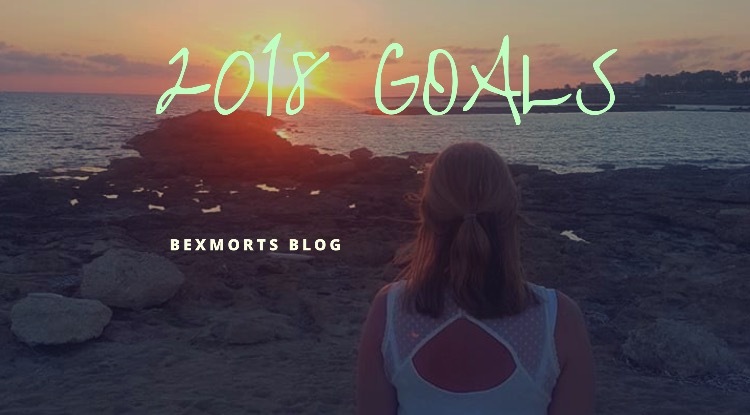 I thought this year I would set myself some goals for 2018, but not too many as I want to be able to achieve most of them if not all of them this year. Start a healthy lifestyle after the baby is born. I want to start eat healthy again like I was before I got pregnant and to start exercising more. I think this will help me feel good about myself again after having the baby and I am going to set a weight lose goal to get down to 10 stone by the end of the year. Focus on YouTube a little more. I upload videos whenever I can, I don't like to do a set day or amount of videos I will upload each week as I feel I might be forcing myself to make videos and then they may not turn out too great. I want to reach a goal of 1000 subscribers by the end of 2018. I am currently at 558 subscribers as I write this post. 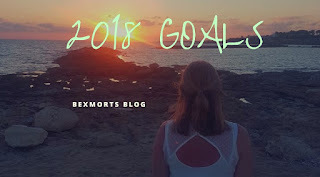 The link to my YouTube channel is www.youtube.com/c/bexmorts if you would like to help me reach that goal then please go and hit that subscribe button. I think me and my husband Darren should focus on this goal a lot more this year. We are really bad for sitting there with our heads in our phones while Sonny sits and watches his TV. I would like to put that phone down and start playing more with Sonny. Some goals I would like to set myself for Sonny is to get him out of nappies day and night and have him fully potty trained by the age of three in June. Also to get him off his dummy's, he replies and asks for his dummy so much and its throughout the day and when he sleeps. He is turning into a big boy now so its time to start giving the dummy up. With the baby arriving in March I may leave this goal till after he has got used to his baby sister being around. Something we hardly ever take is a family photo. Its so hard to get someone to take that photo and also remembering to take the photo at the time to make memories. I am setting myself a goal of taking a family photo each month. I will post the family photo on my Instagram account each month. 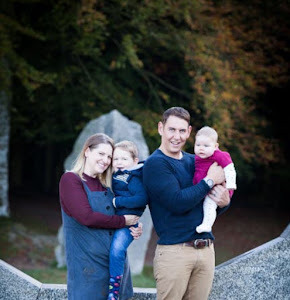 Also I may post each month on my blog a monthly family update with the photo. This may help to motivate me to take the photo. These are the only goals I am going to set myself this year as I already have a lot going on this year with the arrival of the baby girl in March. I think this is going to be a great year and I will also get to spend more time with both of my babies when I start my maternity leave in February. What's your goals for 2018?